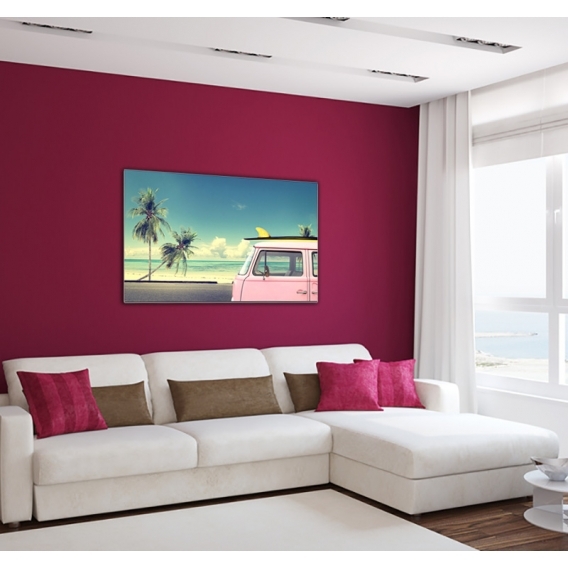 A feeling of holidays with this Surf design canvas ! The dimensions of this Zen deco canvas are 60 x 100cm. Free 48/72h delivery in metropolitan France for this design wall canvas. Our beach ocean deco canvases are anti-UV treated and waterproof. 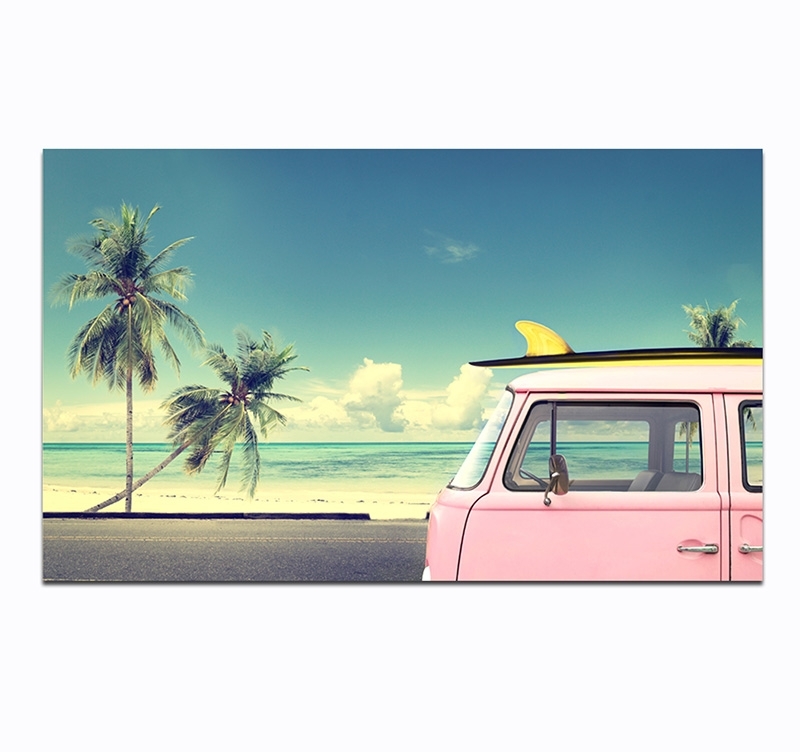 A van, a surfboard and palm trees… enough for your lounge decoration to take you on a trip with this nature printed canvas ! In the blink of an eye go on holidays on a far away island with this design wall decoration ! Who has never dreamt of backpacking around the world ? 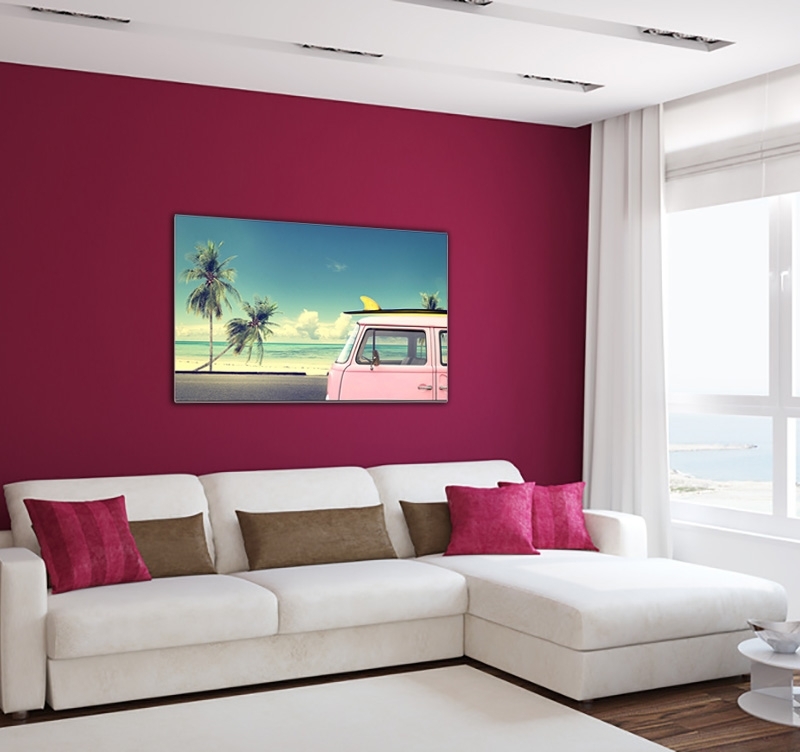 Here is a good start with this Artwall and Co modern deco canvas that will be perfect for a clear home decoration and evocative of a relaxed time. All our Zen photo canvases of this category are printed on a cotton canvas and stretched on a Canadian pinewood frame. 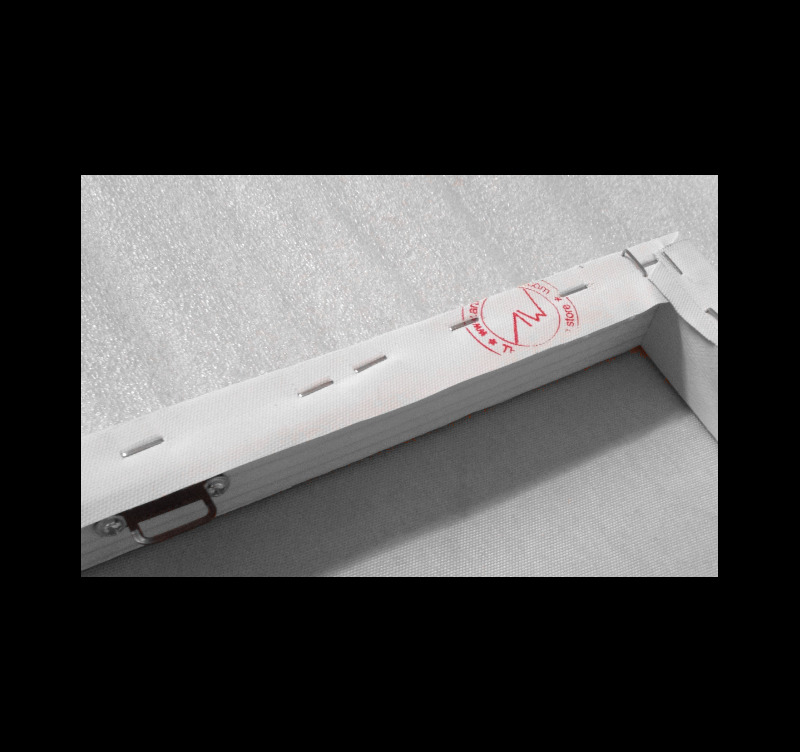 The contemporary wall canvases are delivered wrapped and with cardboard corners. All the vintage surf canvases are anti-UV and anti-damp treated to ensure a better finish and a long-lasting maximum quality.